There is something in nature that I find irresistible. It's not nature itself, but that which is revealed through it. Many of the old thinkers called it natural revelation. And it is this that draws me to the outdoors and kindles my passion for exploration. While I cannot convey the smells, sounds, and feel of creation, I can attempt to convey the sights through my photographical endeavors. As a resident of the Pacific Northwest of the United States, most of my subject material consists of the surrounding wilderness—a wilderness which contains every landscape imaginable. While many nature photographers today are satisfied to view their images of the grand landscapes on six inch screens, I find greater satisfaction in consummating an image in the form of a large print to be hung on the wall. Landscape photography is an interesting enterprise in that it encompasses two diverse worlds: the wilderness and the studio. Nature and technology converge throughout the entire process of producing a wilderness image. A landscape photographer must therefore have the spirit of a bush man and the spirit of a computer nerd to make compelling and successful art. I love both of these two worlds and spend a considerable amount of time in each one of them. I consider my work to be art, with the intention of conveying a surreal interpretation of the scene I had photographed. While I have high regards for documentary photography, I do not pursue it in my own photographic style. I take creative liberties in my post-processing workflow, but I do not alter any permanent subject material that is fundamental to the scene as it looks in real life. My creative manipulation is largely confined to the contingent and changing elements of the scene (light, color, tones, etc.). The camera is simply an instrument by which I seek to accomplish my creative endeavors. Aside from photography I enjoy reading, serving in my church, and enjoying life with my wife, Jen. Q: What sparked your desire to be a photographer? 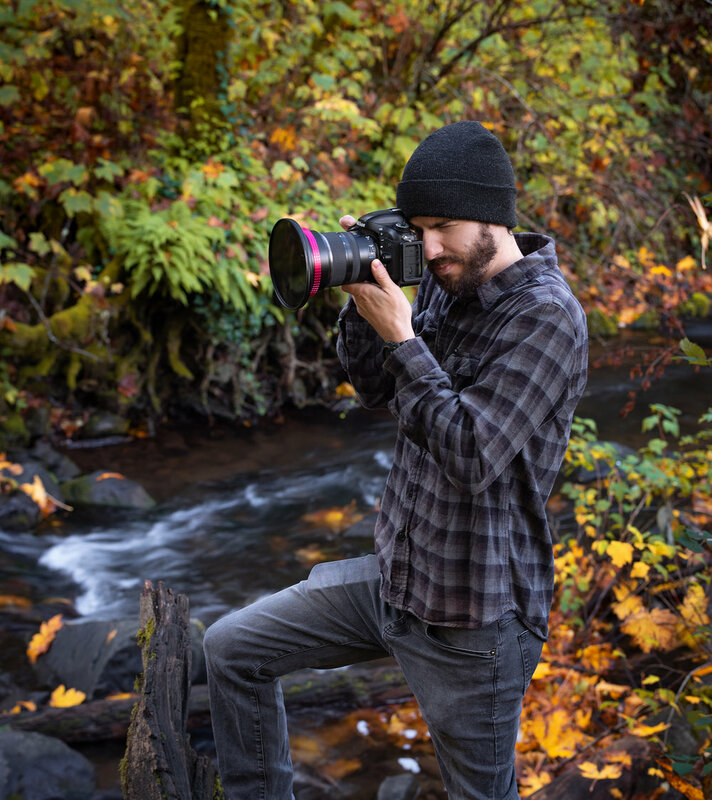 A: When the love of the outdoors and the love of art converge, you have a landscape photographer. Such is the case with me. Q: Are your images photoshopped? A: It depends on what is meant by this question. If it is asking if my images are composited together using various elements from different locations that are later patched together in photoshop, then the answer is no. All the permanent natural elements in my images were there to begin with. The scene as it appears in an image represents the scene as it appears in real life. But if the question is asking whether my images are enhanced with the aid of post-processing tools, then the answer is yes. There is not a landscape photographer in the world today who does not apply some amount editing to his images. This is part of the process of landscape photography and it is nothing new. Even in the days of film, photographers spent hours in the darkroom applying various techniques to their work in order to achieve a specific look. It was often those who had mastered this process whose careers gained the most success. This tradition has continued on into the digital age, but with a much greater ability to enhance a photograph than in the dark room. I view my style of photography as art, and in art there is an illimitable amount of freedom. I am not afraid to enhance tones, colors, contrast, atmosphere, or any other contingent element of the photograph in order to achieve a desired look. Q: How do you find these beautiful locations? A: In many different ways. The process usually involves a lot of research and planning. The use of satellite maps and software like Google Earth is certainly a large part of that process. Sometimes I am led to a location from viewing the work of other photographers, and sometimes I stumble upon a location by happenstance. Whichever the method, scouting by foot usually comprises the majority of my time when out in the field. Q: Do you lead workshops or teach post-processing lessons? A: While this is not the focus of my photography business I am often willing to offer these services upon request. Please contact me for inquiries.